This is what I wore last week when I went on my friend Mary's boat for her birthday! 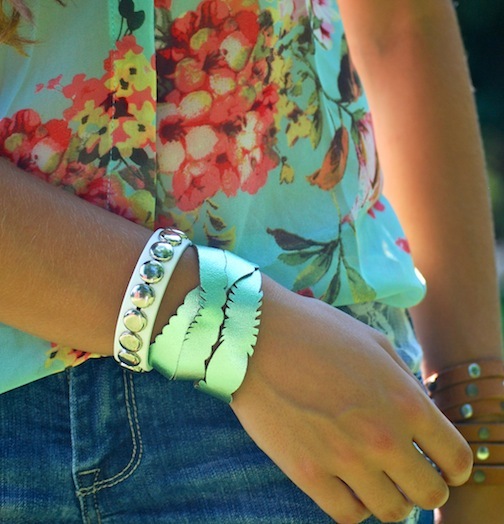 Simple but chic for a windy day on the water. Remember the Bebop dress I wore in my last post? Well, I've been featured on their blog! I talk about my favorite designers, staple pieces, and two of my fave bloggers, Ali of The Drawing Mannequin and Linda of Trendy Teal. Check it out guys! you're so CUTE!! wish it was warm enough for cutoffs now...i lovee those though. and your hair is GORG! aaaWWWWEEE YOU'RE ONE OF MY FAVORITES TOO AWEEEEE <3 <3 tehe oh Rory, how you make my heart fill with everylasting joy. We totally are teenagers with similar styles, aweee. Your guest post interview questionnaire thingie of wonder was beautiful. :D I like how you start with your accessories first--I've actually never really tried that, but you know what? I bet it's a really good way to make outfits. Gotta try that sometime myself! PERSPECTIVE, YO. The print on your shirt is so super pretty~ I love floral prints on aqua backgrounds... the best floral prints of all, of course! 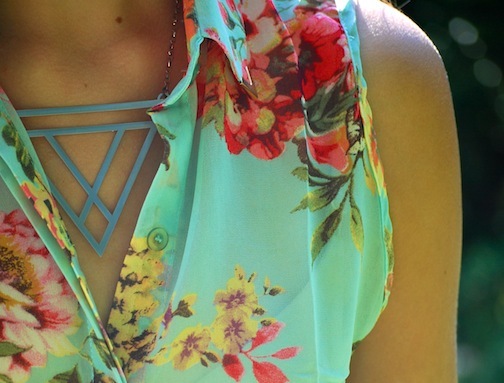 And I still want to steal your awesome triangle hipster necklace. the top is ultra cute! i love this summer-ish outfit! oh and that's awesome to be featured on bebop blog! I'll check it out right now! Awwwwww, Rorrryyyy, you're one of my faves too!! Haha, I feel so loved now ^^ I definitely like how you, Ali and I have sort of formed our little blogger triangle of friendship hehe. It's awesome! these images are so cute! I love how you styled this look. that top is adorable! I love how you coordinate your outfits. You are wearing shorts in October?! Well, I am not jealous but you look cute! Love that top!